Yesterday at Cook County Criminal Court, lawyers for the NATO 3 defendants—Brent Betterly, Brian Church, and Jared Chase—along with over two dozen supporters, appeared in court before Judge Thaddeus Wilson awaiting his ruling on the constitutionality motion. The motion, which was filed in January, moved to dismiss four of the eleven counts the men are charged with, all of which fell under the Illinois terrorism statute. The motion argued that the terrorism statute is unconstitutionally vague, both on its face and as applied to this particular case. In his opinion, Judge Wilson ruled that the statute is not unconstitutionally vague on its face and denied that aspect of the motion. In regards to the unconstitutionality of the statute as applied in this case, the judge dismissed it for now but the defense has the option of filing it again closer to or during trial, when the judge will have more documentation of the alleged conduct to review. The NATO 3 are scheduled to begin trial on September 16, 2013. Judge Wilson’s 33-page order can be found on our Court Documents page. 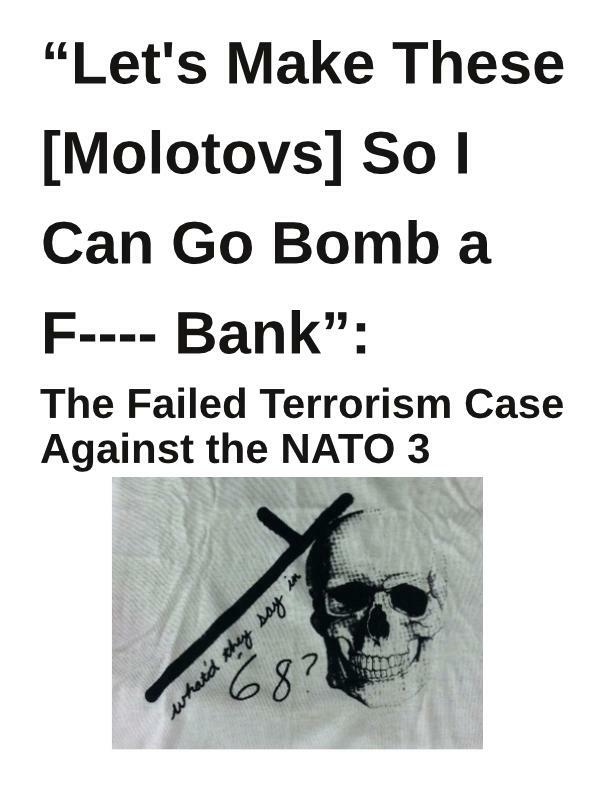 You can also find the People’s Law Office’s announcement about the decision at http://peopleslawoffice.com/judge-denies-motion-to-dismiss-in-nato-3-case/. The next hearing for the NATO 3 is scheduled for Tuesday, April 16 at 2PM. This decision means that the defendants still have all 11 serious felony counts to fight. Their legal team is busily preparing their defense, which is expected to cost more than $20k in investigative, court, witness, and other legal costs. All five NATO 5 defendants also remain incarcerated and need support funds for commissary items. Please donate to their support fund today: https://www.wepay.com/donations/nato-5-defense. You can also start planning an event or action for our International Week of Solidarity with the NATO 5.